Cast: Chadwick Boseman (Jacob King), Teresa Palmer (Kelly), Luke Evans (Wentworth), Tom Felton (Frankie). 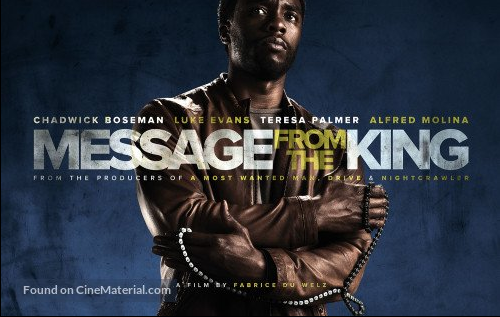 Story: Chadwick Boseman stars as a man from South Africa who has suddenly lost all contact with his younger sister and travels to Los Angeles only to find evidence that she has gotten involved in the city’s dark underbelly. He then takes it upon himself to avenge her. Source(s): The Hollywood Reporter. This entry was posted in Upcoming Films and tagged Chadwick Boseman by blackcinemaconnection. Bookmark the permalink.